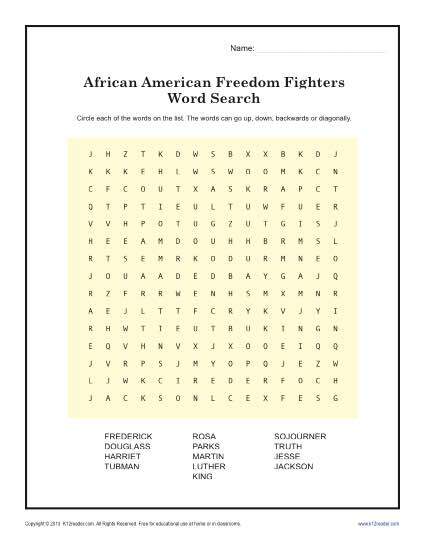 Your youngster will learn while having fun with this word search puzzle for Black History Month! It has a list of leaders of the abolitionist and civil rights movement. It’s a good conversation starter for discussing equality and segregation.